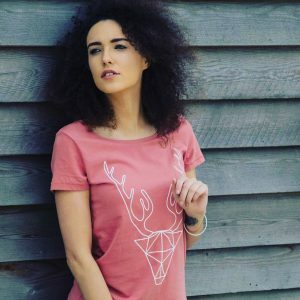 A Sunderland eco-friendly clothing brand is giving consumers the chance to look good while they do good. Joined in Life, based at Sunderland Software Centre, produces eco-friendly, ethically-sourced clothing, designed to help protect the planet along with every sale, which helps the people living on it. With the support of Sunderland City Council, Joined in Life is increasing its product range and expanding its output, all whilst raising awareness for environmentally sustainable clothing. Jane Wimpenny, 26, founder of Joined in Life, began working on the clothing brand after graduating from the University of Sunderland. Jane said: “I began to realise there was a real opportunity in the world of organic clothing. While it is beginning to take root in the US and in London, there are very few organic clothing brands in our region and this was the main reason I decided to create Joined in Life. Yet, Joined in Life is a clothing brand that goes beyond environmental protection. As well as raising awareness for eco-friendly clothing, it also works in conjunction with the charity Mary’s Meals to provide meals in some of the world’s poorest countries. Joined in Life donates 10% of every sale directly to Mary’s Meals, a charity which works to provide school meals and education to children in developing countries. Jane explains: “As well as helping the earth, with organic and environmentally friendly clothing, I was also keen to help people, and so I began to look for a charity that was in keeping with the brand. I chose to work with Mary’s Meals because it spoke to me personally, and to my business ethics. Support from Sunderland City Council has enabled Jane to establish her business in Sunderland Software Centre and provide a solid foundation for future expansion. Jane said: “Earlier this year, I was keen to get myself set up in my own office space and the council helped every step of the way, from suggesting office locations, to helping with the furniture. To place an order or find out more about Joined in Life, visit: https://joinedinlife.co.uk/.